A long dress is a must-have for any wardrobe.for that special occasion (the oscars perhaps? Lol) you can almost never go wrong in a long gown You can wear it with different styles. 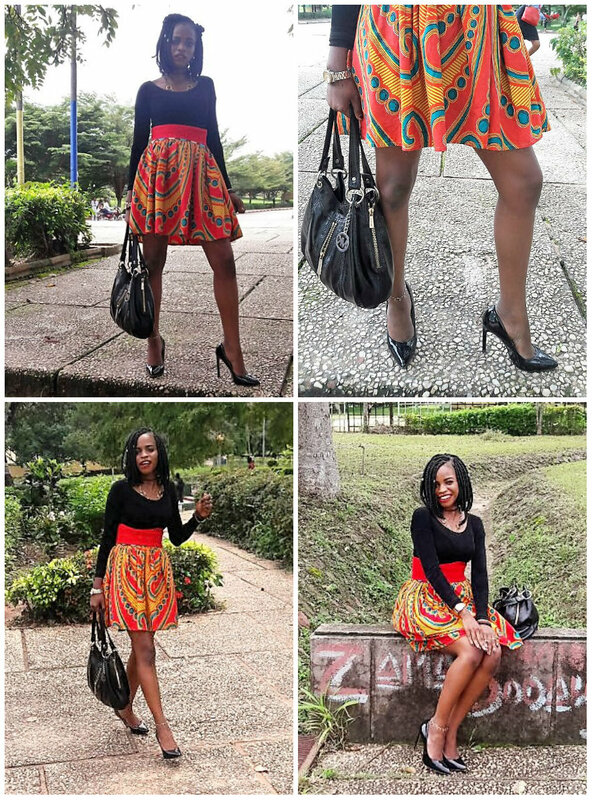 You can give it something extra by adding Ankara fabric always a head turner! You can put on a bolero or jacket for some modesty for a strapless dress. To choose what to wear over the dress, carefully study its cut, colours, and fabric. Pay attention to all the details this is important. it is easy to find the best style and the best with attention to details. In combination of clothes. Always pay attention to the fabric from which the dress is sewn. This aspect is important in the selection of accessories for the look. Take into account the print and the color of the clothes, as this determines the choice of shoes and handbags. 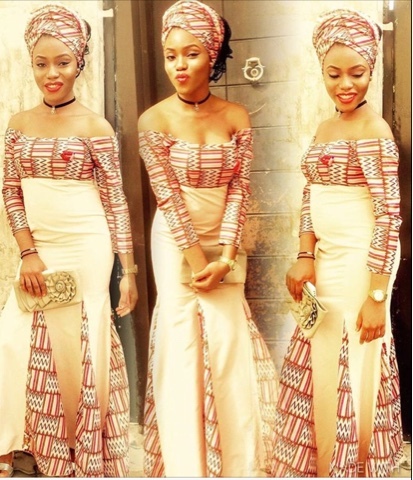 Although Ankara styles for ladies are associated with bright colors like in the picture above the farbric suits her skin colour a factor to note too . A long black dress allows you to be free and embellish how you want It is also perfect for a more solemn event. In the photo above you can see that the occasion suites the brilliant color she chose. Off shoulder gowns are all the craze right now you just have to have one ladies!! beautiful shoulders and neckline compliment this design. Do not forget to supplement your look with heels a beautiful little handbag or clutch. It is important to think about the accessories; Big earrings with stones,long ones, stylish pendants, bracelets, and rings are all great choices to pick from! in the picture above I like how she complimented her look with a small handbag that fitted her prints just perfectly and her choice of accessories small earrings, black neck choker and also a black stylish bracelet to go with speaks volumes with out being over done. Any beautiful look should be comfortable. Her head scarf gave it the African look that just screams "confident African woman"I looooooooove! You? SHOES Shoes can destroy the whole look if not properly chosen. Even for a long dress that the shoes might not be very visible shoes should be chosen very carefully. Flat shoes. This type that will give you maximum freedom of movement and comfort depending on the occasion you could rock those flats sister!